The commitment to legal excellence is reflected in years of service which has included teaching at law schools, publishing law review articles, lecturing at Judicial Colleges and assuming leadership roles in both local, as well as national bar associations. Through an appointment by the President of the Louisiana Bar Association, Arsenault joined the Professional Assessment Committee composed of a distinguished panel including Federal and State Court Judges along with members of the Bar. He also coordinates an annual tort law presentation by several United States District Judges and the former Dean of the University of Tennessee College of Law, Thomas C. Galligan, Jr. Recently, Richard was appointed by the Louisiana Supreme Court to serve on the Rules of Professional Conduct Class Action Committee. Richard has chaired national complex litigation programs with speakers that have included former President Bill Clinton, Robert F. Kennedy, Jr., Eliot Spitzer, Harvard Professor Alan Dershowitz, Morris Dees, Arianna Huffington, Al Franken, Bob Woodward, Al Sharpton and Paul Begala. He has chaired dozens of symposiums with guests ranging from Ken Starr to Jan Schlichtman (lawyer portrayed by John Travolta in “A Civil Action”). Richard has organized numerous counsel meetings and conferences, comprising hundreds of law firms in venues across the country. These have been designed to facilitate consensus for leadership roles, consider organizational structures and promote coordinated litigation efforts. Richard recently co-chaired the national HarrisMartin Toyota Recall Litigation Conference, which attracted over 100 plaintiff and defense attorneys seeking to learn more about the unique circumstances of the Toyota litigation. The conference agenda featured some of the nation’s preeminent attorneys, many with decades of experience handling large, complex national cases. The event, which was held in San Diego was profiled by the Associated Press, the Wall Street Journal, Bloomberg News, National Public Radio, CBS Radio, CBC Montreal and other national and international news organizations. Consequently, he understands and functions well in the national complex litigation landscape. Chair of the Louisiana Bar Association’s Section on Insurance, Negligence, Workers' Compensation and Admiralty. Richard was a Guest Lecturer at Tulane Law School in New Orleans, Louisiana on April 12, 2018. He lectured in connection with a course called “Cause Lawyering,” which is an exploration of how lawyers in different fields use the law to effect change or promote justice. The Public Justice Foundation is a non-profit charitable membership organization that stands against corporations that cheat consumers to gain profits. Their awards are highly respected in the legal industry. This past year Richard was a nominee for the award. The National Association of Distinguished Counsel is an organization dedicated to promoting the highest standards of legal excellence. Richard was selected as a 2015 member of the Nation’s Top One Percent by the National Association of Distinguished Counsel. The organization focuses deeply on elevating the standards of the Bar and it does so by recognizing lawyers who compliment their mission. 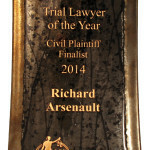 Richard J. Arsenault was recognized by the National Trial Lawyers as the 2014 Trial Lawyer of the Year civil plaintiff finalist. 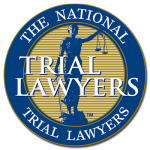 The National Trial Lawyers is a professional organization composed of premier trial lawyers from each state in the nation who meet stringent qualifications. Selection is based on a thorough multi-phase process which includes peer nominations combined with third-party research. Membership is extended solely to the select few of the most qualified attorneys from each state who demonstrate superior qualifications of leadership, reputation, influence, stature and public profile. Through a multi-phase selection process, the National Academy of Personal Injury Attorneys has chosen Richard Arsenault to receive the organization’s Top 10 Attorney Award for the State of Louisiana. Class Action Trial Lawyers, an association of the National Trial Lawyers, have invited Richard Arsenault to be an inaugural member of their Executive Committee. National Trial Lawyers is an invitation-only trial lawyer organization consisting of premier plaintiffs’ trial lawyers. With a diverse career spanning three decades, Arsenault has gained national attention for his involvement in some of the nation’s largest class action and complex litigation. BusinessWeek has referred to Arsenault as “a dean of the Louisiana tort bar,” The New York Times called him one of the “big players” in the legal community, and The Wall Street Journal referred to him as a “big gun” with “national notoriety.” Best known as a trial lawyer, Arsenault also teaches Trial Advocacy at LSU Law School and is an author, frequent chairman and speaker at national litigation conferences. Neblett, Beard & Arsenault senior partner, Richard J. Arsenault, has been invited to join the faculty at LSU’s Law School. Arsenault will join the distinguished faculty at Louisiana State University’s Paul M. Herbert Law Center in the Fall 2011 semester, and will teach Advanced Litigation. Richard, an alumnus of LSU Law, has been a long-time instructor at the annual LSU Law Trial Advocacy program, an intensive three-day trial skills summit. After graduating from LSU Law, Arsenault went on to build a successful legal practice, and has been recognized for his contributions to serious personal injury and complex/class action litigation. Arsenault is a frequent speaker and author on various legal topics. His legal expertise is often called upon by the New York Times, the Wall Street Journal, the Associated Press and other national and international media outlets. Over the past three decades, he has been appointed by Federal Judges to steward some of the nation’s largest litigation, and holds leaderships positions in several distinguished legal organizations. Arsenault has been recognized by the Bar Register of Preeminent Attorneys, holds a Martindale-Hubbell AV Rating and was selected for inclusion in 2011 Best Lawyers in America, 2011 Super Lawyers and 2011 Best in the U.S. His firm, Neblett, Beard & Arsenault, has been selected as one of the Best Law Firms in America by U.S. News and World Report. We’re proud to announce that accident and injury law firm of Neblett, Beard & Arsenault was selected for inclusion in the Best Law Firms in America legal directory. The directory is produced by U.S News and World Report and the publishers of Best Lawyers in America, one of the oldest and most respected legal directories in the nation. Senior partner Richard J. Arsenault has been selected for inclusion in Best Lawyers in America each year for the past 17 years. This year’s Best Law Firms in America was compiled through a rigorous, multi-step process which included over 3.1 million client and peer reviews. Neblett, Beard & Arsenault is recognized as a “Tier 1” law firm, and is among only a fraction of law firms to receive this distinction. Neblett, Beard & Arsenault’s Richard J. Arsenault has been selected for inclusion in 2011 Super Lawyers by Law & Politics, Inc. and Louisiana Life Magazine. Only five percent of lawyers in Louisiana receive this distinction. Richard has been included in Super Lawyers each year since 2007. Super Lawyers are selected through a rigorous, multi-step evaluation process that draws from peer recognition and professional achievement. Arsenault and Walker were recognized for the work they’ve preformed at Neblett, Beard & Arsenault in the areas of personal injury and complex litigation. We are proud of Richard for this achievement. Martindale-Hubbell has recognized Richard J. Arsenault’s professional ethics and legal ability by awarding him an “AV” rating for 2011, the highest rating an individual attorney can receive. 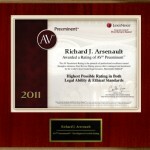 Mr. Arsenault, founding partner of Neblett, Beard & Arsenault, has earned an AV rating each year for over 10 years. Martindale-Hubbell Peer Review ratings are based on a rigorous, multi-step evaluation process that includes confidential assessments of a lawyer’s ability and ethics from members of the Bar and the Judiciary. 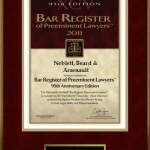 In addition to his AV Rating, Martindale-Hubbell has selected Arsenault for inclusion in the 2011 Bar Register of Preeminent Lawyers. Richard J. Arsenault, founding partner of Neblett, Beard & Arsenault, has been selected for inclusion in the 2011 Martindale-Hubbell Bar Register of Preeminent Lawyers. For over 90 years, the Bar Register has been considered the definitive guide to the most distinguished law firms in the United States. The directory only includes lawyers who have earned a prestigious “AV Rating” from Martindale-Hubbell, the highest rating available for professional ethics and legal ability. Only a small percentage of lawyers across the country receive this distinction. Attorney Richard J. Arsenault, partner in Neblett, Beard & Arsenault, has been selected for inclusion in the 2011 Best Lawyers in America directory. 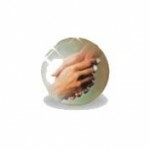 Arsenault has been featured in the directory each year for the past seventeen years. Best Lawyers, which is now associated with U.S. News and World Report, is one of America’s oldest and most respected legal directories. Its 2011 edition was compiled using data from 3.1 million peer-review surveys completed by members of the legal field. Throughout his diverse legal career, Richard J. Arsenault has been recognized as a trial lawyer, author, speaker, mediator, expert witness and teacher, all of which has provided a unique foundation for navigating complex litigation. 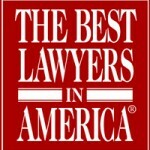 In addition to Best Lawyers, Arsenault has been selected for inclusion in Bar Register of Preeminent Lawyers, American Trial Lawyer’s Association’s Top 100 Trial Lawyers, Louisiana Super Lawyers, Best of the United States and currently holds an AV Rating from Martindale-Hubbell, the highest rating available. His legal expertise has been featured by the National Law Journal, Associated Press, The Wall Street Journal, The New York Times, CBS, Reuters, Business Week, NPR, BBC and other national and international media outlets. Attorney Richard J. Arsenault, of Alexandria’s Neblett, Beard & Arsenault has been asked to serve as the Alexandria Coordinator for the Support of Lawyers/Legal Personnel – All Concern Encouraged (SOLACE) program for the Louisiana State Bar Association. The SOLACE program provides community outreach to members of the legal field and their families who have recently suffered from a significant illness, accident, loss or injury. The program aims to provide simple, but meaningful support in whatever the emergency situation may warrant. Many members of the legal community, which includes judges, lawyers, court personnel, paralegals, legal secretaries and other professionals, have already benefited from the outreach and support provided by SOLACE. In his role as Program Coordinator, Arsenault will oversee and coordinate support efforts in the greater Alexandria area and serve as a liaison to the Louisiana State Bar Association’s Community Action Committee, which founded the program. 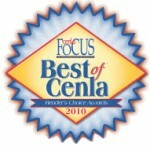 Cenla Focus Magazine has selected Neblett, Beard & Arsenault for inclusion in the 2010 Best of CenLA Reader’s Choice Awards. Thank you to everyone that voted and keep watching! Richard J. Arsenault, founding partner of Neblett, Beard & Arsenault has been selected as 2009-2010 Top 100 Trial Lawyers of Louisiana by the American Trial Lawyers Association (ATLA). The American Trial Lawyers Association is a national organization of America’s top trial attorneys. Membership is by invitation and extended only to those individuals who exemplify superior qualifications, trial results, and leadership. Candidates are vetted through a rigorous evaluation process which includes independent research of the attorney’s qualifications. Only 100 attorneys from each state are offered membership into ATLA. Trial lawyers are evaluated to determine if they are among The Top 100 Trial Attorneys in their respective states during the pending year of evaluation. Membership is not honorary, nor is it stagnant, and each year the attorneys are re-evaluated to determine whether their activity and accomplishments are still such to qualify them for membership. Arsenault is recognized for his contributions in mass tort/complex litigation and serious personal injury. For nearly thirty years, he has actively represented injury victims. Arsenault’s experience as a trial lawyer, author, speaker and teacher has provided a unique foundation for navigating complex litigation. The National Law Journal recognized one of Arsenault’s personal injury verdicts in an annual Top 100 Verdicts Issue. He has Martindale Hubbell’s highest rating and is listed in many other peer reviewed publications including the “Bar Register of Preeminent Lawyers,” “Best of United States” and “Best Lawyers in America.” His commitment to excellence is reflected in years of service in bar association leadership positions, as a faculty member at LSU Law School’s Trial Advocacy Program and lecturing at Judicial Colleges. Arsenault has been selected by courts around the country to serve on Steering Committees in some of the nation’s largest litigation and serves on various Multi-District Litigation Plaintiff Steering Committees in some of the major litigation in America. Neblett, Beard & Arsenault is pleased to announce that two of their attorneys, Richard J. Arsenault has been selected for inclusion as 2010 Super Lawyers by Law & Politics Inc. and Louisiana Life magazine. Louisiana Super Lawyers are designated through a rigorous, multi-step evaluation process that incorporates peer recognition and professional achievement. Only five percent of lawyers in Louisiana receive this prestigious acknowledgment. Arsenault and Walker have been named Louisiana Super Lawyers each year since 2007. They are recognized for their professional contributions in the areas of personal injury litigation and mass tort/complex litigation. Both actively represent victims of serious injury and death resulting from offshore and maritime incidents, automobile accidents, dangerous products, medical negligence, workplace accidents, foodborne illness and environmental exposure to dangerous and toxic substances. Neblett, Beard & Arsenault, a leading Louisiana injury firm, is proud of this notable achievement of our partners, and are pleased to share their unique skill set with a wide range of clients. Congratulations Richard! Attorney Richard J. Arsenault, founding partner in Neblett, Beard & Arsenault, was recently selected for inclusion in the prestigious 2010 edition of Strathmore’s Who’s Who. 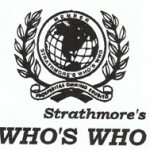 Each year, Strathmore’s Who’s Who recognizes and selects key executives, professionals and organizations in all disciplines and industries for outstanding business and professional achievements. Arsenault was selected for inclusion because of his outstanding reputation as a victim’s advocate. Richard has represented injury victims and their families for almost three decades. His firm represents victims of serious injury and death resulting from offshore and maritime incidents, automobile accidents, dangerous products, medical negligence, workplace accidents, foodborne illness and environmental exposure to dangerous and toxic substances. Arsenault and his partners are also involved in a variety of class action litigation against manufacturers of dangerous products and unsafe pharmaceutical drugs. Attorney Richard J. Arsenault, a founding partner of Neblett, Beard & Arsenault, has been invited to serve as a faculty member for the August 2009 LSU Law Center’s Trial Advocacy Program taking place in Baton Rouge. Nearly 200 senior law students participate in the intensive and unique, three-day program. They role play and receive critiques from some of the nation’s leading experts in courtroom practices. Arsenault serves as part of this select faculty, comprised of federal and state court judges, professors and prominent attorneys. He’s been a part of the program since its inception over 15 years ago. Arsenault explains that the program presents a rigorous schedule that challenges the students to develop trial skills and practice methods pioneered by the famed National Institute for Trial Advocacy. “This is a great opportunity for students to get a taste of what to expect as trial lawyers. They are in their final year of law school and getting close to the point where they will be employing these skills in real cases,” said Arsenault. Committed to professionalism and ethics in trial advocacy, Arsenault has successfully represented tort victims and consumers from across the United States in high-profile litigation. Over his nearly thirty-year career, Arsenault has been recognized by the legal field’s most prestigious publications including Martindale Hubbell (AV rating), the Best Lawyers of America, the Bar Register of Preeminent Attorneys, Best in the United States and the National Law Journal for achieving one of the nation’s largest verdicts. “I’m excited about the opportunity to positively impact the careers of America’s next generation of lawyers,” said Arsenault. 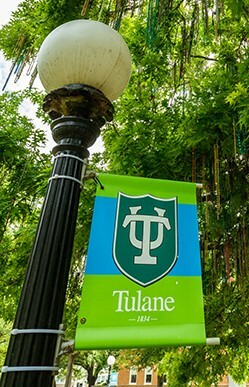 Richard J. Arsneault is invited to participate in the Tulane Law Review symposium on multidistrict litigation, to be held February 15th and 16th, 2008, in New Orleans, LA, at Tulane Law School. This will surely be an engaging discussion. The symposium is organized into seven different panel topics. Given Richard J. Arsenault’s specific experience and expertise, he will serve on Bellwether Trials and Settlement Devices, focusing specifically on his experience with bellwether trials and settlement in the numerous MDL actions of which he has been a part. Other panels include The Workings of the Federal MDL Panel, The Selection of the Transferee Court, Attorney Strategies in MDL Litigation, MDL: The New Solution to a Post-Class-Action Era?, and Ad Hoc Districtwide MDLs. Several members of the MDL panel, including Judges Heyburn and Motz, will be speaking at the symposium, along with Judges Carol Hibgee (New Jersey), Mark Davidson (Texas), Lee Rosenthal (S. D. Tex. ), Stanwood Duval (E. D. La. ), and Sarah Vance (E. D. La.). Profs. Francis McGovern, Richard Marcus, Edward Sherman, and Alexandra Lahav will also be speaking. Richard J. Arsenault is one of a distinguished group of attorneys that has been listed in Best Lawyers for ten years or longer, and Richard J. Arsenault has been selected by his peers for inclusion in the 25th anniversary edition of The Best Lawyers in America in the specialty of Maritime Law. For a quarter of a century, Best Lawyers has been regarded—by both the profession and the public—as the definitive guide to legal excellence in the United States. The Best Lawyers in America also reaches the largest and most targeted audience of any peer review publication in the legal profession. Best Lawyers is excerpted monthly in Corporate Counsel Magazine, reaching more than 44,000 general counsel. Excerpts also appear in The Washington Post, The Los Angeles Times, New York Magazine, and more than 50 other regional and city magazines, reaching more than 15 million influential readers. The Best Lawyers database is also now searchable on more than 260,000 Bloomberg Terminals worldwide. Congratulations, Richard J. Arsenault for being selected by his peers for inclusion in Best Lawyers! Richard J. Arsenault has been invited to be a guest on a very new and prestigious show America’s Premier Lawyers featured on both American Airlines & Northwest Airlines with a “Tune-In” support page in Fortune Magazine. Through the combined respected global reach of American Airlines, Northwest Airlines, and Fortune Magazine, three of the World’s Best Known Global Brands, America’s Premier Lawyers will spotlight invited lawyers and law firms to be featured with their peers on a distinctive special broadcast of America’s Premier Lawyers on American Airlines, Northwest Airlines and in Fortune Magazine. As the world’s premier business magazine, Fortune reaches the most sought-after leaders in business and dominates the competition as a business news source. Fortune serves up in-depth, cutting-edge editorial coverage and exclusive insider access to the sharpest minds in the world. Fortune’s worldwide circulation dominance of 1,020,000 includes all of the North American, European, Asian, and the China editions. The American Airlines business show will feature a special broadcast of the American’s Premier Lawyers on all of their 29,000 worldwide audio equipped flights. In addition, Northwest Airlines which offers business travelers one of the world’s most extensive global networks serves more than 900 cities in excess of 160 countries on six continents including 49 states and the District of Columbia. In addition to operating one of the largest domestic route networks in the U. S., Northwest carries more passengers across the Pacific than any other U. S. carrier. America’s Premier Lawyers, in partnership with SkyRadio Network, and featured on American Airlines and Northwest Airlines with a “Tune-In” support page in Fortune Magazine brings together this eclectic group of prominent lawyers to discuss the law and business in tandem with today’s major issues facing the world. America’s Premier Lawyers premise is twofold: 1) Prominent lawyers think like business people to help businesses and individuals prosper and grow, and make or world a safer, better and more equitable place. 2) Multinational businesses and issues are more truly global than any single political or governmental body, and therefore carry a heavy responsibility for building solutions and broadening understanding and this special program of distinguished lawyers facilitates dialogue, provokes thought, and generates new ideas. The Best of the U. S. Inc. The Best of the U. S. Inc. selected Richard J. Arsenault of Neblett, Beard & Arsenault, as one of the “Best of Class” in his profession. They have recognized the best in the fields of medicine, law, accounting, financial planning, physical therapy, chiropractic, veterinary, mortgage brokers, and real estate. Each of their selected professionals is listed on their website www.bestofus.com, a total of over 70,000 listings representing the top two percent in each profession. The Best of the U. S. LLC is proud to announce that Richard J. Arsenault has been selected as one of the best lawyers in the United States. Richard J. Arsenault is one of 68,000 professional service providers chosen from over 2,000,000 actively practicing professionals in the United States to be listed on www.bestofus.com. The Best of the U. S. LLC is an independent firm that reviews the credentials of practitioners in fourteen professions to determine the “Best of Class” in each. The selection process is based on identifying those professionals who have continued their education, provide leadership in their industry, and have been recognized by their peers, their industry and their community as the best. Over 68,000 doctors, lawyers, financial advisers, dentists, physical therapists, chiropractors, real estate agents and tax professionals are currently listed on www.bestofus.com. Best Lawyers in America is pleased to inform Richard Arsenault that he has been selected by his peers to be included in the 2008 edition of The Best Lawyers in Americain the specialty of Maritime Law. Arsenault is one of a distinguished group of attorneys who have been listed in Best Lawyers for ten years or longer. Inclusion in Best Lawyers is based on an exhaustive and rigorous peer-review survey that has been developed and refined for nearly 25 years. Because no fee or purchase is required to be listed, inclusion in Best Lawyers is considered a singular honor. Best Lawyers also publishes an advertisement-free book each year listing all those chosen – something that no other survey does. The current edition of Best Lawyers is based on 1.8 million confidential evaluations by the top attorneys in the country. Best Lawyers also conducts thousands of telephone interviews with leading attorneys throughout its balloting process. This year, 23 new specialties have been added to the new edition, bringing the total to 80. Responsiveness to the legal community is one reason why Best Lawyers is widely regarded – both by the profession and the public – as the definitive guide to legal excellence in the newspapers and magazines – including this year, for the first time, The Washington Post and The Los Angeles Times. ALM has chosen our lists to be excerpted in Corporate Counsel and other ALM publications. Best Lawyers’ online presence continues to grow. In the past years, the site has received more than two and a half million hits and responded to more than 1.4 million requests for lawyer searches, including requests from officers of 71 of the Fortune 100 companies and 289 of the Fortune 500 companies. 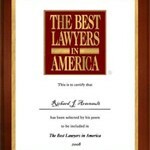 10,583 listed attorneys, representing 1,319 law firms, have linked their firm pages or bios to BestLawyers.com. Congratulations on Richard J. Arsenault being chosen by his fellow attorneys. Continental Who’s Who is an organization that recognizes men and women who have achieved success in their respective fields. Congratulations! Richard J. Arsenault was recently appointed as a biographical candidate into the Legal Section of the Continental Who’s Who Registry. Who’s Who believes that Arsenault’s accomplishments, as a highly respected attorney in his field, merit earnest and intense consideration for inclusion. Moreover, Arsenault has been selected in his region to be placed as a VIP Member in the Continental Who’s Who Registry of National Business Leaders. The Who’s Who organization recognizes those men and women who achieve success in their respective fields. 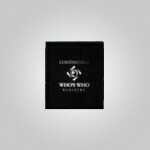 Continental Who’s Who is used as an outstanding networking source for the American marketplace as well as worldwide. Again we congratulate Richard J. Arsenault and wish him much continued success. Louisiana Super Lawyers® magazine recognizes, Richard J. Arsenault among the states Super Lawyers®. The yearly Super Lawyers® feature recognizes the most-respected lawyers in their fields across Louisiana. 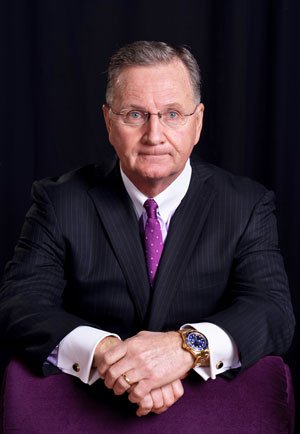 RICHARD ARSENAULT is featured in both Louisiana Life magazine and Louisiana Super Lawyers®. The Super Lawyers® are chosen by their peers and through independent research for their practice area. 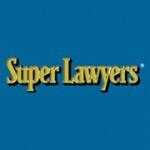 Only five percent of the total lawyers in Louisiana are listed in Super Lawyers®.